Tried and true, and now available in a smaller liter capacity – meet the Women’s Coyote 60. 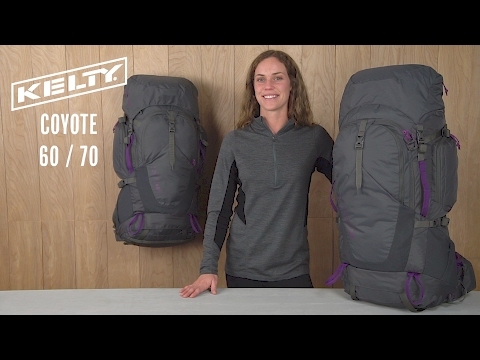 The Women’s Coyote 60 offers all the same great features as it’s larger sister, and the 60L capacity is versatile for a range of backcountry trips. The women’s specific PerfectFIT™ suspension offers one-size-fits-all versatility and comfort with an on-body adjustment system, plus the shoulder straps, hip belt, and back panel are specifically designed to fit a woman’s body. The single LightBeam™ aluminum stay gives this pack outstanding support for heavy loads. A separate sleeping bag compartment keeps your gear organized and makes packing a breeze. Plus, the top lid converts into a sling pack for shorter excursions from camp.